Lovers of cheescake, rejoice! 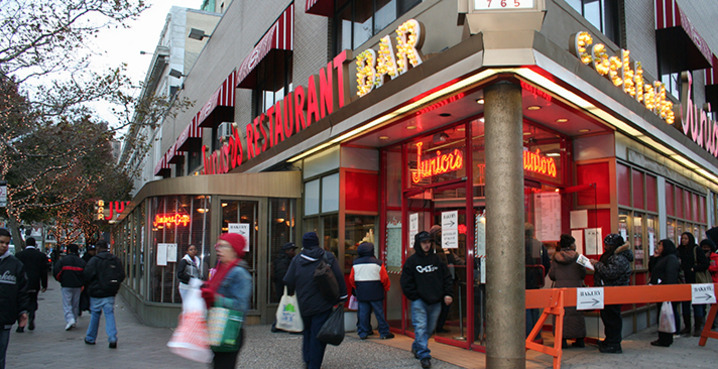 Downtown Brooklyn’s Junior’s diner will stay put. According to the New York Times, the restaurant’s owner, Alan Rosen, has turned away all offers for the space located at the corner of Flatbush Avenue Extension and Dekalb Avenue. Rosen put the property on the market back in February and, unsurprisingly, was met with plenty of interest from hungry developers looking to build luxury condos atop site. After a summer of sleepless nights and much agonizing over his decision, Rosen has shot down the offers, including a whopping $45 million bid. Why? Sentimental value. 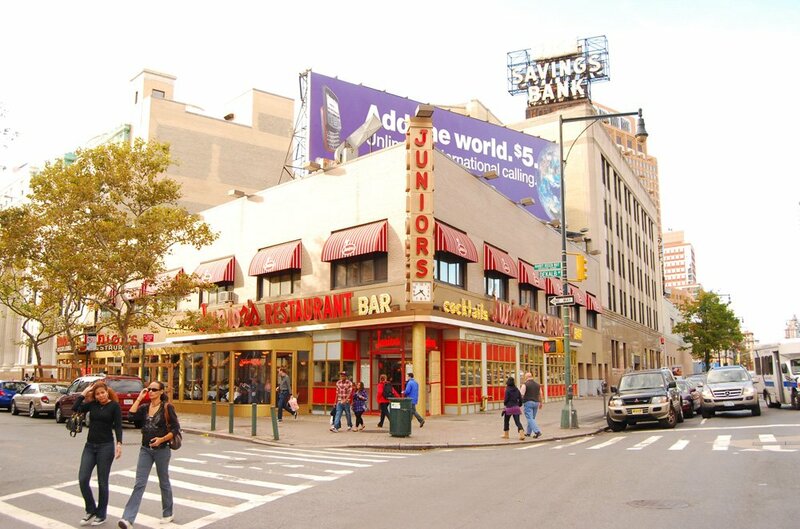 When Rosen first put building up for sale, he said that Junior’s would open a temporary location in Brooklyn but eventually reopen on the ground floor of the property under new owners. However, the lofty offer didn’t come with the ground floor. Those offering only half the amount did. Rosen also notes that disappointed calls from customers and discussions with longtime employees, his wife and his 81-year-old father, Walter Rosen, swayed him from signing off on the deal. Currently the site maintains development rights for a 20-story building, but with other air rights up for grabs, such as those belonging to the neighboring JP Morgan Chase, a building of up to 50-stories could have been built on the site. For now, Junior’s will remain a modest Downtown Brooklyn icon amongst a flurry of flashy supertall towers coming to the neighborhood.